'Hammer Horror' isn't showing next Monday, but going by your still, I didn't know rage had enlarged/stretched it, as the picture there is touching the edge of the watermark. My recording from 2008 isn't enlarged/all fits within the 4:3 screen. I wish they wouldn't tamper with the aspect ratio of old videos. Oh, unless that's a Classic Countdown still from the Countdown performance, which it may well be. It is a still from Classic Countdown ... yes. 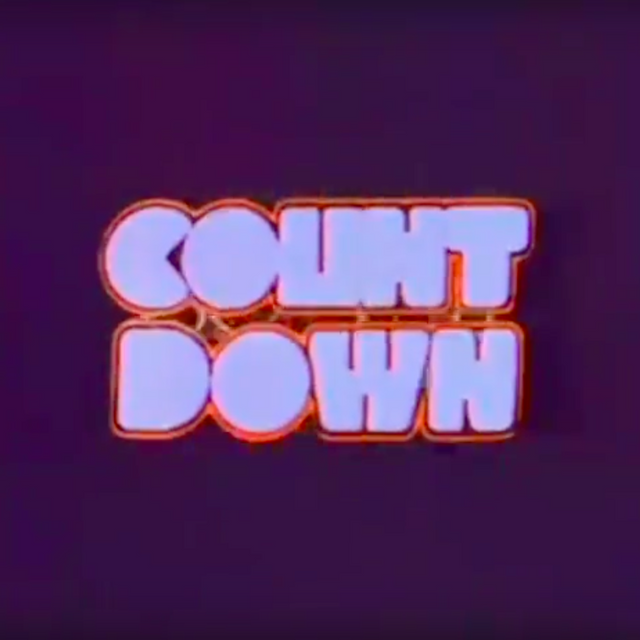 I'm a big fan of Kate Bush, and just wanted to post a 'Countdown' connection with her. They are not playing Hammer Horror, no ... pity. It's a great song, and a great clip from Countdown. This Kate Bush special doesn't beat the one they did in Oct 2005! and I recorded it on disc back then and in glorious analogue - no b u l l s h i t with ratios there. Likewise, though being analogue, there are some minor (signal) imperfections with my recording. I'm looking forward to grabbing digital copies of a few videos I don't have in watermark-free digital copies of from this. I'm sorry but analogue TV is (was), relatively speaking, rubbish. The number of people who could receive completely un-ghosted, noise- and interference free signals was tiny (and lucky). And the only way to record it was on magnetic tape with a vertical resolution of about 240 lines, compared to 576 lines in PAL digital. The times when rage messes up aspect ratios is, yes, a little annoying but in most cases it can be restored it to the original with undetectable loss of quality because in most cases the picture has been horizontally stretched (no loss of pixel content) and one just needs to un-stretch the recording. Digital makes that possible. The only times they really screw up is when they "zoom" into a 4:3 clip and actually lose some of the original picture content off the top and bottom. Nothing can be done to recover the lost image content in that case because it was never broadcast to begin with. The times that happens is I suspect incompetence or negligence rather than intent. Hey Clip Magnet, don't get me wrong i love digital too. They bothhave their pro's and con's. The real positive for me with analogue is the sound. So loud and clear. I think it's a deliberate thing now for rage to zoom in on those letterboxed 4:3 clips. Blondie's 'Nothing Is Real But the Girl' video, for example, which aired last night, was shown blown up to 16:9. But my recording from 2009 (or whenever it was) aired in 4:3. There is only a timer code shown briefly in the bottom horizontal letterbox bar, near the start, on the original, but rage have chopped that off. Yes, analogue did sound better than the digital signal does.